The Expert Witness Training Company - SEAK, Inc.
Having been in the forensic world for 3 years and with 3 depo’s under my belt, it was a perfect time to attend your seminar. Really good presentation! Thanks much for all the good stuff you imparted. I have 2 trials slated for this spring/summer, and am feeling much better prepared having been to the seminar. 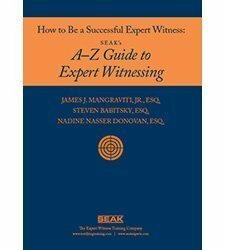 I bragged about you guys to an expert witness group last evening. I recommended that they all attend your seminars! As a Contractor, I know that to do a great job you need to possess the proper tools. 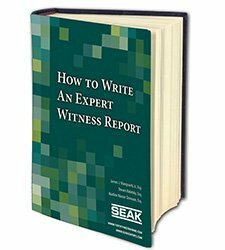 SEAK provides the Expert Witness with the tools needed to perform with confidence and poise. 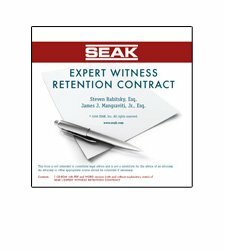 I would strongly recommend SEAK training courses to any Expert Witness interested in being the very best in their field. I came this year to sharpen the saw a bit since it had been about ten years since I attended your last Advanced Testifying class in San Diego at the FEWA conference that year. Mission accomplished! Thanks for a very fruitful and enjoyable two days of much needed training. I will do my best to apply it all! I was in a trial the other day and an attorney asked, “Ms. [Smith], do you wish you had more time to work on Mr. XXs Life Care Plan?” I smiled and thought of you because you gave this example in one of your programs. I sat back and said – “Sure, I always like to spend more time with my patients and their families”…no follow up questions. Thanks for the guidance.